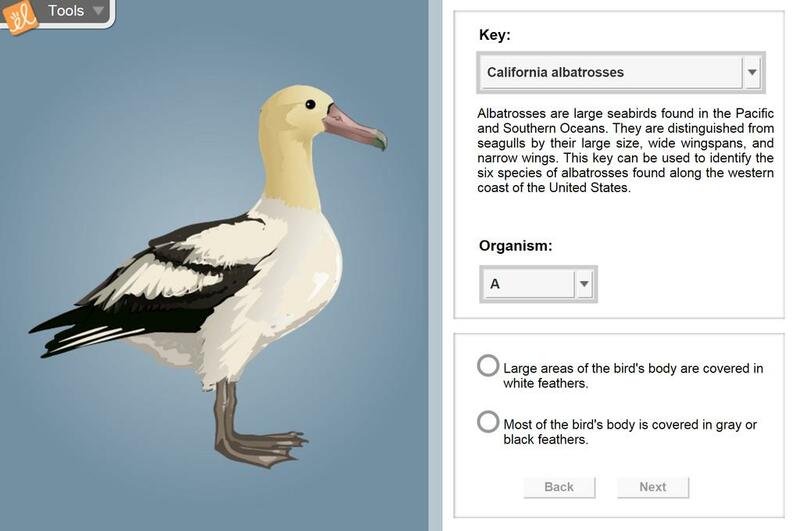 Use dichotomous keys to identify and classify five types of organisms: California albatrosses, Canadian Rockies buttercups, Texas venomous snakes, Virginia evergreens, and Florida cartilagenous fishes. After you have classified every organism, try making your own dichotomous key! The Dichotomous Key Gizmo is also a useful tool for helping younger students identify key characteristics... (more) of a similar group of organisms. (see: attached document) In addition, the pictures could be cut apart and used for creating classification trees on paper. great for dichotomous key practice! My students enjoyed the practice -- Activity B was great! This simulation was a great tool to reinforce learning for my students. This was very helpful with teaching the students how to read a dichotomous key, and following directions to arrive at the correct answer.